KoopaTV: The Super Nintendo Entertainment System... Returns? The Super Nintendo Entertainment System... Returns? By LUDWIG VON KOOPA - It's the Super Nintendo Entertainment System: Super Nintendo Entertainment System Classic Edition! Hm, if that article headline and header look familiar to you, it's because they came from last year's similar Nintendo announcement article about the Nintendo Entertainment System: Nintendo Entertainment System Classic Edition. That was announced in July and had 30 NES games for $60, for a November release. 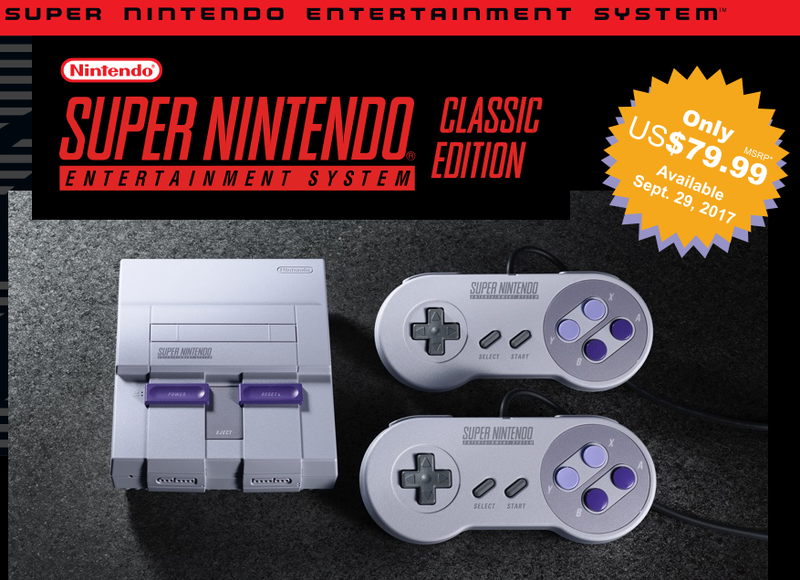 This is announced in June and will have 21 SNES games for $80, for a September launch. But perhaps I should back up a bit. Nine of the twenty-one games have the word “super” in them. I wonder if this is a first? We mastered StarFox 2 25 years ago and it's finally getting a release, Guinness world record? He later clarified it's 22 years. The whole package is rated T for Teen, which is hilarious because the press release quotes Doug Bowser as saying that “many of [Nintendo]'s younger fans never had a chance to play [the Super Nintendo Entertainment System]”. Well, it's ESRB'd out of their age range! It definitely helps that the SNES: SNES, unlike the NES: NES, actually has a lot of games that people should want to play. The NES: NES has garbage like Ice Climber just acting as filler, but every game on the 21 games list actually has some number of people who like it. You can complain about games that should've been there but are not (Square Enix is clearly a contributor, so where's Chrono Trigger? Why is there Donkey Kong Country, but not its obviously-superior sequel? There's a poll on games that got omitted right now on GameFAQs and I voted for Chrono Trigger), but it's still worth your money if you haven't already played these games multiple times over on the Wii, Wii U, or other methods. PLUS, Star Fox 2 is brand-new to everyone, regardless of your level of Nintendo experience! I have but two concerns as someone who won't buy this thing. One, will these products replace there being a Virtual Console on the Nintendo Switch? Whatever the “Classic Game Selection” is, it is not a perfect replacement for the Virtual Console, and I don't think relying on what will surely be a LIMITED EDITION product (even if the press release hasn't outright said it) for classic gaming purchases is a good idea. Two, will this take production capacity away from the Nintendo Switch? ‘cause... it better not. They gotta get those new 10,000,000 Nintendo Switch units in one year somehow. Ludwig is so amused that Nintendo went through with calling it the SNES: SNES Classic Edition after all. Ludwig will discuss more about Star Fox 2 and the significance of its re-release as part of a later article. For now, what are your thoughts on the SNES: SNES? Here is the further discussion on Star Fox 2 and the significance of its re-release. The SNES: SNES promises to have a lot of stock at launch. 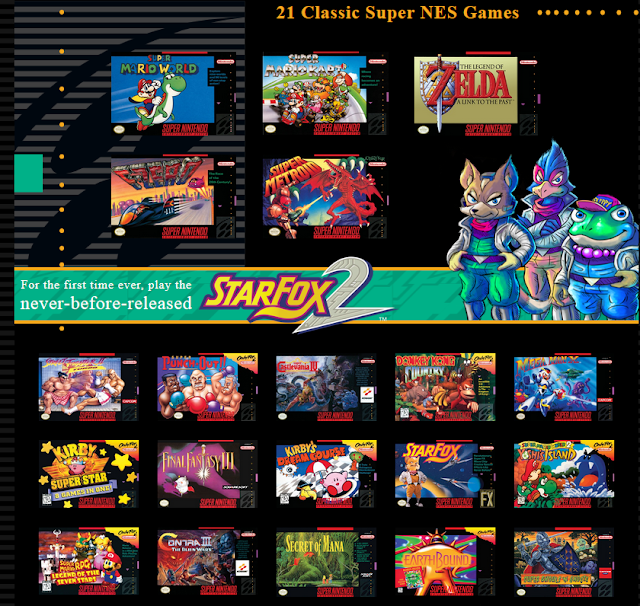 My thoughts on the SNES: SNES CE is more on that lone game, Star Fox 2. It astounds me that Nintendo finally gave its fans the sequel to the game whose franchise was thought dead years ago! I'm still waiting for... the one, that hasn't been touched upon for say, a decade. Right, I'm gonna connect Star Fox 2 with the Metroid II re-imagination pretty soon. If the previous edition is any indicator, I'd expect this to sell out in a matter of a few minutes with limited stock except for the copious amounts on eBay for twice the price. Pft, JUST twice? Nah, you're gonna see it get more expensive than that. Anyway, Nintendo promised they will have more supply of the SNES: SNES than the NES: NES. I'm curious to know how the playing experience with this would differ from say, the Retron 5 and which would be better. If you don't have the original equipment already available, then SNES: SNES makes more sense. And/or if you really want to try Star Fox 2.